Learn the technique of entrelac knitting in this two hour class. This is the perfect way to add structural interest to a knitted scarf, shawl, or even a sweater! For a bright and interesting scarf, try knitting with Gomitolo Merino and see entrelac work its magic. 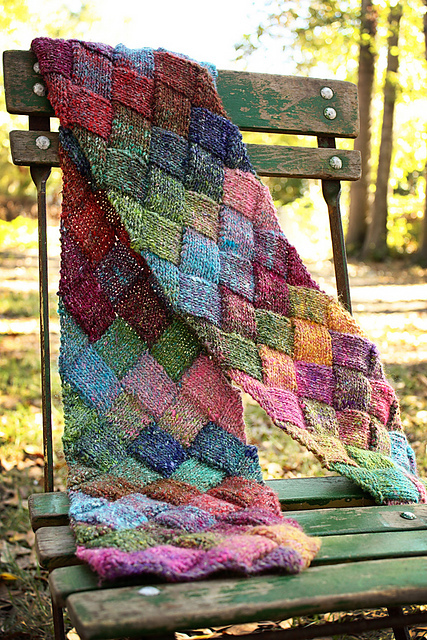 For something more subdued, any solid or tonal worsted weight yarn will look beautiful in the Simple Entrelac Scarf!